With the upcoming 2016 Spring/Summer book release schedule I can’t hide my excitement for a few favorite titles. (See previous post for two of my top favorites) One of my favorite things about a fabulous release is a stunning cover. I took a few covers and books that I am personally thrilled about and paired them up with a few of my favorite beauty products. I mean who does’t love it when their lipgloss matches their latest book! I personally believe a book is a hot accessory to go along with all your beauty favorites. I discovered Emily Liebert when I first read You Knew Me When which had me hooked from the first page. This is something I now find true of all her novels. When I heard she had a new book coming out I knew I had to review plus I found out she was partnering up with It Cosmetics so it was a win-win, I mean I am blogging all things beauty and books here. I was lucky enough to have to opportunity to not only receive an advance copy of her book but get the chance to ask Emily herself what her “Beauty Secrets” and “Author Beauty Bag” must-haves are ! I am over celeb make-up tips 🙂 Let’s learn what these stunning authors do to stay gorgeous! 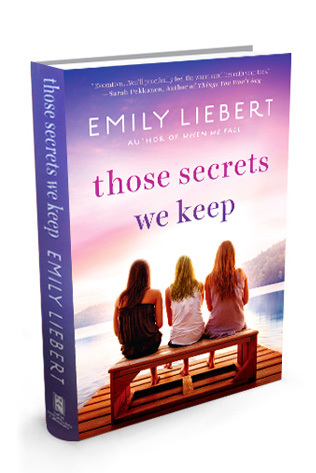 In her newest novel, Those Secrets We Keep, Liebert centers around 3 women- Sloane, Hillary and Georgina. Each battling their own secrets they all decide to take a girls getaway to Lake George. Sloane who is struggling in her marriage, decides a little time away from home is just what she needs. Hillary, a close friend of Sloane, is at a crossroads in her life where she is wondering if she is cut out for motherhood. And then there is Georgina who is a free spirit and ready to bring the fun to Lake George but yet running from something bigger than herself. What starts out as a way for all of them to unwind turns into a visit with a past love for Sloane which begins all kinds of problems that began so many visits ago. What they all thought they could leave behind follows each of them leading them to rely on one another. 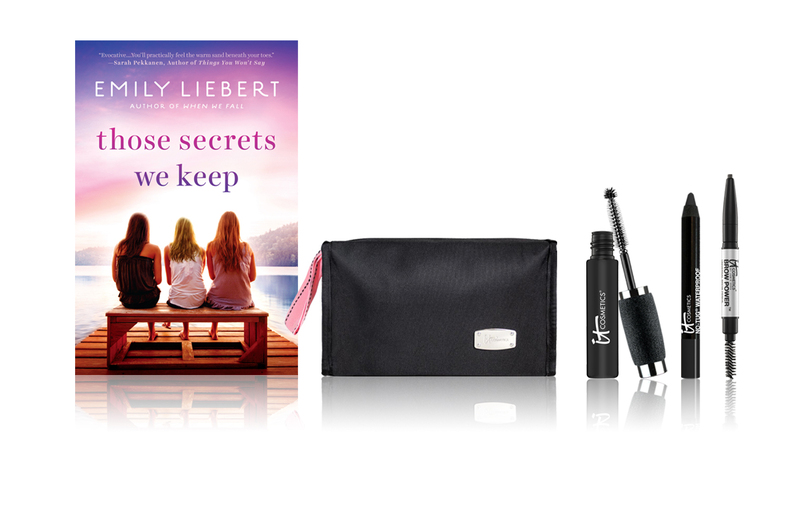 Those Secrets We Keep is my second pick for my “Blissful Beach Bag” picks! It is the perfect summer read and a must for your beach bag. Liebert once again depicts the bonds between woman and the value of true friends. Her voice is so distinct throughout all of her novels which makes her feel like an old friend herself. It is clear she knows the ingredients to create a sold sisterhood. This book had twists to keep the reader guessing page by page, I did not want to put it down. Besides the ebbs and flow of friendships, Liebert brings marriage and the importance of communication between one another. She shows you that once these lines are blocked we all are susceptible to keeping secrets. Liebert is a strong female author and her books are not to be missed. I can’t wait for her next novel and hope to meet her on her next tour if she stops in Boston! * Bonus: Emily is sending her readers an amazing gift once you purchase the book. As mentioned before she has partnered up with It Cosmetics. If you order “Those Secrets We Keep”, Facebook message her your receipt and she will mail you a fabulous make-up bag with a few amazing eye products! Visit and ‘LIKE’ her page here! At least eight hours of sleep. I swear by it. My husband makes fun of me for going to bed so early, but I never have dark circles under my eyes! Pure Barre. It’s a mixture of yoga, Pilates, and ballet. I was hooked after my first class. About a year later I became a teacher! It makes me physically toned and strong, which helps me feel beautiful. Tinted moisturizer. My makeup artist Emily Rosnick introduced me to it. She said to never leave home without applying a thin layer. It evens out your complexion and affords you a hint color. Tan Towels. One of my closest friends recommended these to me. They’re easy-application towelettes that produce a streak-free, sunless tan within hours. The result is glowing skin that looks natural. Tweezerman’s Point Tweezer. This is my go-to instrument. I kid you not, I’ve performed small “surgeries” with these. (They’re amazing for extracting splinters) I’m also a bit eyebrow obsessed. I like to get every last microscopic hair. But do use them at your own risk. They’re sharp! *Those Secrets We Keep was sent to Bliss, Beauty and Books for review purposes.